A light grease that stays where it's put and won't migrate to other parts. 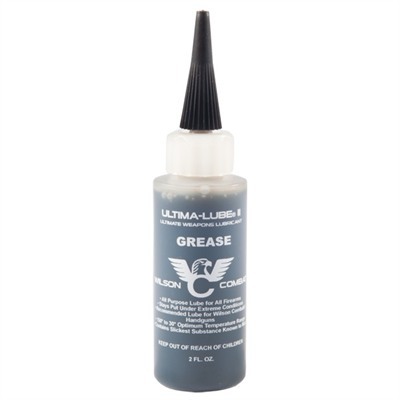 The areas of your gun that need lubrication stay lubricated. One drop on each slide rail reduces friction and wear; helps your pistol work easier and stay clean longer. Will not attract and hold contaminants. Recommended for full- and semi-auto rifles and carbines. Excellent for AR-style rifles in temperatures above 50degF. Mfg: Wilson Combat SPECS: 2 oz. (59ml) bottle.